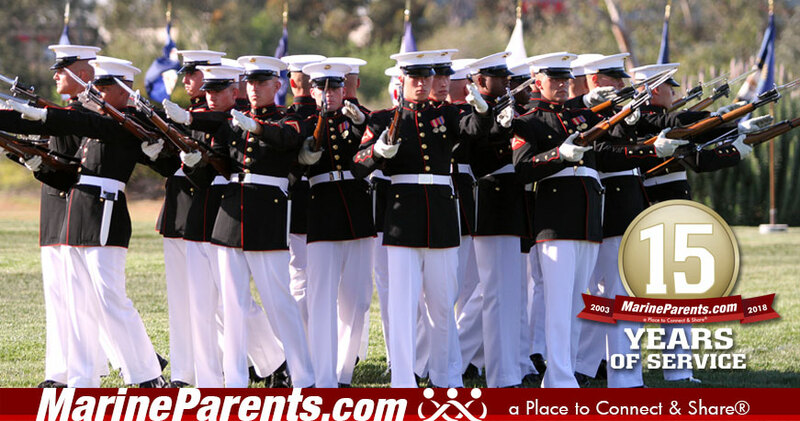 MarineParents.com has committed 15 years to Marines, veterans, and their family members. Can you commit $15 a month to our outreach programs? To help us continue our mission, we are asking you, the MarineParents family, for a monthly donation of only $15. Click here to join our monthly giving program. In the last 12 months we have informed thousands of recruit family members with our boot camp and Marine Corps informational publications, provided a Place to Connect & Share® for over 98,000 members in our Official MarineParents.com Facebook Groups, connected with wounded and recovering warriors in Balboa and Bethesda over dinner 5,800 times, provided 82 veterans with Warrior Reintegration bags, educated over 54,000 Marine family members through our monthly newsletters, and provided resources and information for every stage of the Corps on our websites to thousands of new visitors each month. This year, we helped grant two Gold Star mothers' wishes, by sending 47 Marines from their sons' units to their funerals in their home towns. We connected with other Gold Star and White Star family members by hosting the Remembering our Fallen Exhibit, providing materials for remembrance at funerals, promoting Gold Star family causes and memorials, and providing a place to connect and share for White Star family members. Also, we are humbled to announce that over 4,600 individuals participated in our Luminary Initiative by lighting luminaries on Gold Star Family Day in at least 48 states. In addition, we paid for two Marines to travel to repair a Gold Star Family home, provided disaster relief to two Marine families in Puerto Rico after the hurricanes, and provided over $35,000 in assistance to help families travel to see their loved ones graduate from boot camp, along with countless other works of outreach to family members with Marines in every stage of the Corps. This is truly remarkable and we would like to thank the Marine Parents volunteers who have dedicated their time and effort to ensure the success of our outreach programs and services. Without their tireless work, these services wouldn't be nearly as effective or successful as they've become. We would also like to take this opportunity to thank you, the Marine Parents family, for your unwavering support since our founding. We know that with your monthly gift of $15, we can continue to reach tens of thousands of Marine family members. Click here to join our monthly giving program. Thank you; we are excited to see what 2018 has in store.